Get a full recap of the first full padded practice of training camp. We break down all the action from day three and a few injury updates on Saturday, July 29, 2017. On the last day of public access to Training Camp the offense improves but injuries increase. Get a full Day 14 practice recap. The offense struggled on day 13 of Patriots Training Camp. We offer the latest injury updates and a full recap from practice on Monday, August 13, 2018. Tom Brady's workload ramps up, injury updates, and PUP guys see first significant snaps. Get a full recap of Day 12 of Patriots Training Camp on Sunday, August 12, 2018. PUP players return, impressions of WR Eric Decker and a Tom Brady status update is all in our day 10 recap of Patriots Training Camp on Tuesday, August 7, 2018. It was a low tempo practice on Saturday where we got our first look at WR Eric Decker in a Patriots uniform. We offer some injury updates and a full day 9 recap. Tom Brady takes it easy on his 41st birthday. Trey Flowers leaves practice. Get a full day 8 Training Camp practice recap. The Patriots held their most competitive and energetic Training Camp practice to date on Day 7. Several players made a return, while Marcus Cannon and Sony Michel were missing from practice. Get a full recap and news and notes from Thursday, August 2, 2018. The team was back in full pads on Wednesday and injuries continue to mount with Marcus Cannon and Sony Michel leaving practice. 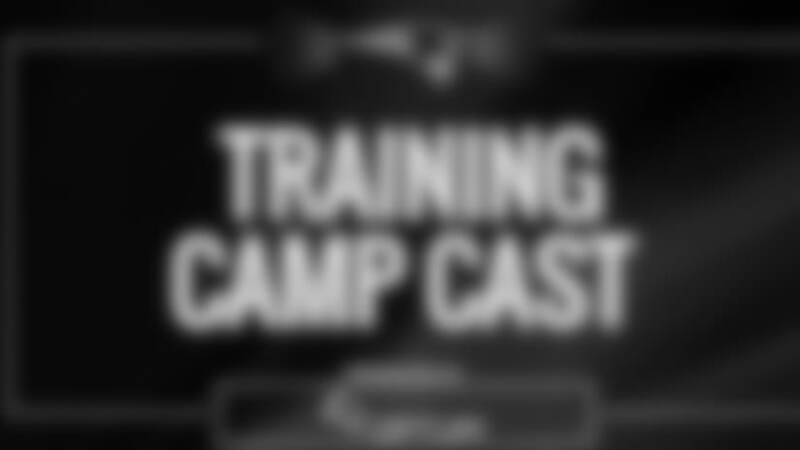 Get a full practice recap and news and notes of the day in our latest Training Camp-Cast podcast. On Monday night the Patriots held their annual in-stadium practice under the new led lights of Gillette Stadium. Paul Perillo offers a full practice recap. Bob Socci and Scott Zolak broadcast direct from Monday night's in-stadium Patriots practice and offer their commentary on all the action. Defense dominates again, an injury scare on offense, and more takeaways from day 4 of Patriots Training Camp. Plus, we recap the first four days of camp. A big hit by Deatrich Wise and big plays from Duron Harmon highlight the Patriots first full-pads practice on day 3 of Training Camp. Get a full practice recap now. On the second non-padded practice of Patriots Training Camp several players from PUP made a return. We saw big plays on offense and defense. Find out who made the play of the day, which players stood out and which did not. Get a full recap of all the happenings of day one of Patriots Training Camp on Thursday, July 26, 2018. Find out who stood out, who was missing from practice and more. In this edition of the Patriots Training Camp-Cast podcast, we recap the first joint practice with the Jacksonville Jaguars and the New England Patriots at Gillette Stadium on Monday, August 7, 2017. In this edition of the Patriots Training Camp-Cast podcast, we recap all the action as New England practiced in the rain on day 9 at Gillette Stadium on Saturday, August 5, 2017. In this edition of the Patriots Training Camp-Cast podcast we recap all the action as New England hosts a scrimmage on day 8 at Gillette Stadium on Friday, August 4, 2017. Injuries are starting to take their toll at Patriots training camp on day 7. We break down all the action from practice on Thursday, August 3, 2017. Get a full practice recap for day 6 of Patriots training camp in our camp-cast podcast. Get a full practice recap for day 5 of Patriots training camp in our camp-cast podcast. It was the second day in a row of pads but the biggest news of the day was Rob Ninkovich's retirement. We discuss how the loss of Ninkovich will affect the Patriots defense and look back on his 8 year career with New England. Get a full practice recap and more from day 4 in this edition of the Training Camp-Cast podcast. Get a full recap of practice during day two of training camp on Friday, July 28, 2017. We discuss the return of Kony Ealy, the play of the DBs, and the overall play of New England's QBs. In the 2017 debut of the camp-cast podcast, Andy Hart, Paul Perillo and Erik Scalavino from Patriots Football Weekly break down day one of Training Camp a Gillette Stadium. Find out which players stood out during New England's first public practice. Get a full recap and analysis of the third day of Patriots joint practices with the Bears on Wednesday, August 17, 2016.